Visible Remains: Nothing as of 2008. Prince Ivanhoe is probably the second most famous wreck on the Gower Peninsula after Helvetia. She started life on the 22nd February 1951 as the 980 ton TSMV Shanklin, built by Southern Railways (latterly British Rail) to replace their ageing steam ships on the Portsmouth to Isle of Wight route. It was a role she was to fulfil until 1980 when engine reliability issues meant that she was side lined to serve as a reserve vessel for her two sister ships. In 1981 she was finally put up for sale and bought soon after by the Firth of Clyde Steam Packet Company. They had a plan to operate pleasure cruises along the Bristol Channel and Prince Ivanhoe was an ideal candidate. After an extensive refit on the River Clyde she was relaunched and put to work under the Waverley Excursions Ltd banner. The 3rd August 1981 started as any other day had done that season but was to end very differently. Having made several stops along the Bristol Channel she docked at Mumbles Pier to pick up more passengers for a tour of the Gower coastline. She left with a full compliment of 450 paying guests and made her way to Port Eynon. It was as she rounded the headland to Overton that she struck a large underwater object, sealing her fate with a sixty foot long gash in the hull. To this day there is still debate over what the object she hit may have been. Many references refer to rocks or a reef but maps show no such presence in that area. This has led others to believe that it may have been an old world war two wreck but again there is no firm evidence for this. Whatever the cause the captain realised that the ship was now in a dire predicament and quickly turned her around before running aground on the beach at Horton some time after three in the afternoon. 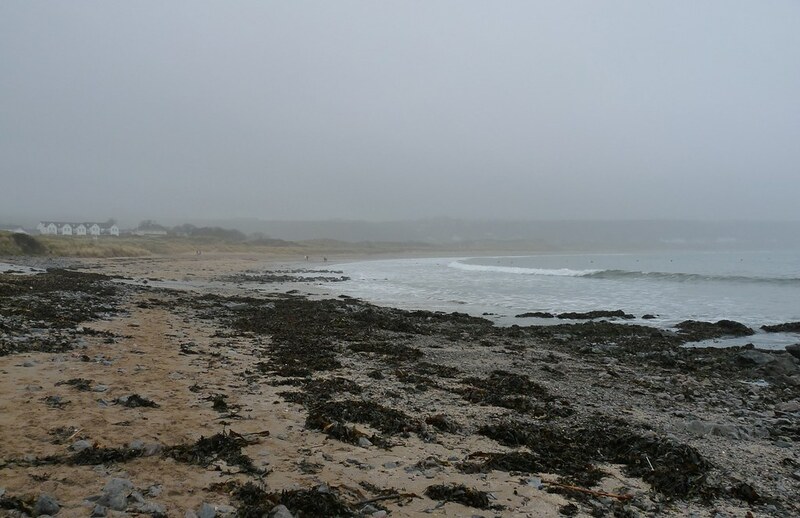 A distress call was made and within minutes the RAF rescue helicopter was at the scene along with lifeboats from Port Eynon, Horton and Mumbles. The teams worked tirelessly to evacuate the passengers from the stricken vessel along with help from many of the bystanders that had been enjoying a day on the beach. It is to their credit that everyone made it off safely with the unfortunate exception of one person who died after suffering a heart attack. After the rescue mission had been completed the decision was made to abandon the Prince Ivanhoe, a sad end to a ship that had looked to have a long future ahead of it. During the winter storms she slowly broke apart, creating a hazard for shipping in the area and in particular for the Horton lifeboat. Several salvage operations were undertaken in the subsequent years until the bulk of the wreck had been removed. From that point on the only evidence above water were two large buoys that marked the extremities of what little material was left behind, but even these were taken away some time in 2008. Given that the Prince Ivanhoe sinking happened in recent years there are plenty of photographs to be found around the internet, some of which I have linked to below. Even more amazing is the presence of some original video footage shot at the time for a news report.